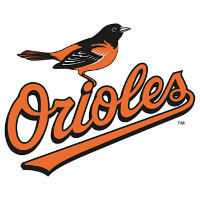 A three-run Nolan Reimold homer lifted the Baltimore Orioles to a 6-3 win over the Chicago White Sox Friday night. The win was the second in a row in the series for the O’s (14-8). Starting pitcher Mike Wright gave up two runs on six hits in six innings of work in a no-decision. Chicago starter Carlos Rodon (1-3, 4.33 ERA) took the loss, giving up six runs on eight hits in seven innings for the White Sox (16-8). Stephen Strasburg was again dominant, and the Nats got their bats going in a 5-4 win at St. Louis Friday night. Washington (15-7) was coming off back-to-back shutouts in a three-game sweep at home at the hands of Phildelphia. Strasburg (4-0, 2.25 ERA) was masterful, striking out nine and walking one in seven innings, allowing two runs on eight hits. Jonathan Papelbon notched his eighth save in nine chances for Washington, which got a leadoff homer from Michael A. Taylor and a two-run shot in the fourth from Danny Espinosa.